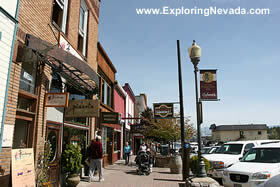 Truckee is one of the gateway towns to the Lake Tahoe Area. Located on Interstate 80 and just a short and easy drive from Lake Tahoe, Truckee receives lots of tourists passing through town. The downtown area of Truckee is very nice and well-maintained. Parking can be a bit problematic at times, but thats the price paid for a downtown full of stores and which is usually a busy and bustling place. Below are the varoius hotels in Truckee that are available for online booking.